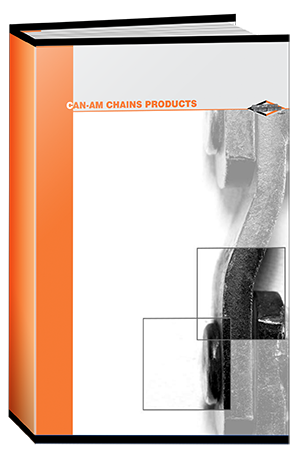 CAN-AM CHAINS is a premier manufacturer of a wide variety of welded steel, specialty chains and attachments, sleeve bearings, sprockets and engineered plastics for the forest products and waste water treatment industries. 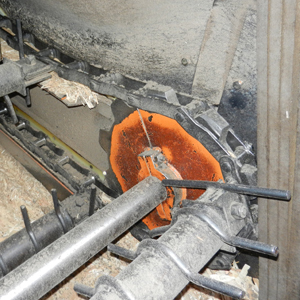 From Pulp and Paper to Saw Mills to Oriented Strand Board and Engineered Wood Products, CAN-AM CHAINS has a reputation for performance and reliability. CAN-AM CHAINS are designed and constructed to perform in such rugged chain conveyor applications as log-decks, transfer decks, un-scramblers and drive applications of all types. Products include British Standard and American Standard roller chains as well as welded chains such as mill chains, drag chains, malleable chains, power transmission chains and waste water treatment chains. Whenever chain performance means productivity, CAN-AM CHAINS Delivers!